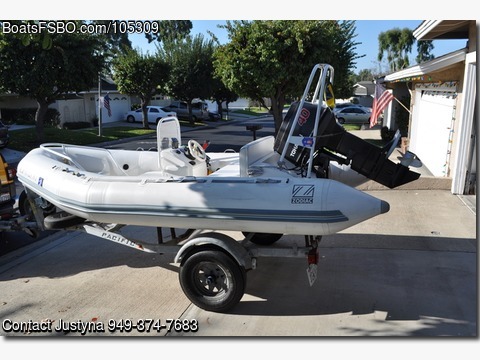 Contact the owner @ 949-374-7683 or justyna.makowska@yahoo.com...13'9" hard-bottom Zodiac 16' Pacific trailer with extra Baja wheel. 40 HP, two stroke Tohatsu outboard, freshly overhauled regularly serviced with less than 1000 hrs. The boat had been always garaged and has nice cover. Anchor compass and new tags. Must pick up in Laguna Niguel.